If you need an antivirus program for your Server, VIRUSfighter is for you. VIRUSfighter is a user-friendly antivirus program for Microsoft Windows Server that is easy to install on your Server and gives you the best protection you can get. VIRUSfighter is your protection against your Server being destroyed by a virus. The program is easy to install, and then runs discreetly in the background, watching for threats. Every time a new virus outbreak occurs, an effective antidote is quickly released and automatically installed - you don't have to lift a finger. 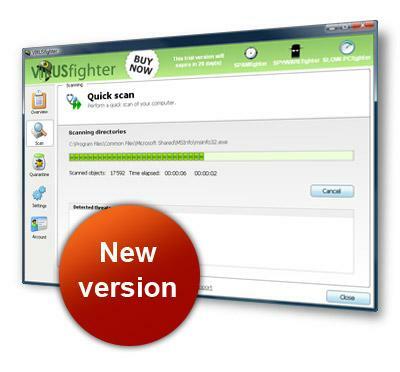 VIRUSfighter is brought to you by SPAMfighter, Europe's leading Anti Spam Filter developer.